Date/Time - 7 May (Saturday), 7 p.m. 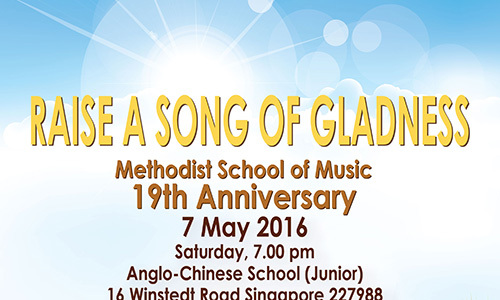 Description - Join Methodist School of Music (MSM) as they raise a song of gladness to celebrate their 19th anniversary with a concert comprising performances by the Methodist Festival Choir, Methodist Festival Orchestra, Windworkz and the faculty and students of MSM. 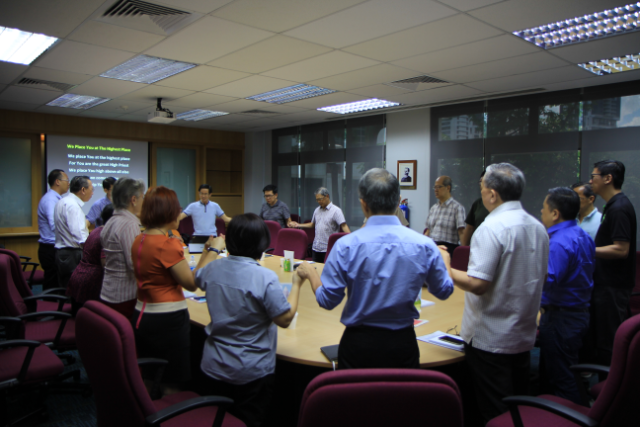 Organised by Methodist School of Music. Please call 6767-5258 to register for complimentary tickets.